The beauty of autumn, the joy of exploring, and the bounty of the wine harvest are three great reasons to book Italy Vacation packages this month. October is a glorious time for Italy tours to the country’s internationally renowned wine regions. It is a busy time, with much to see and do – and all against the fabulous backdrop of rich golden hues that dapple the breathtaking landscape. 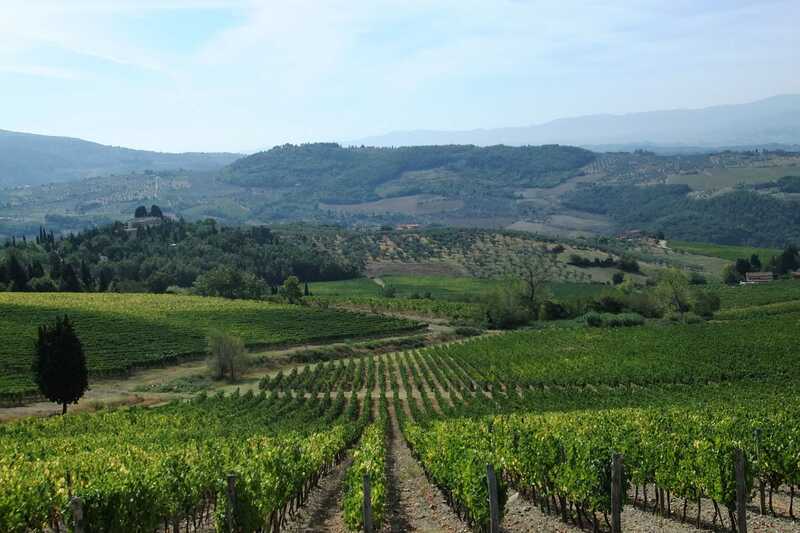 The wonderful Mediterranean climate of Montalcino is ideal for growing grapes, most notably the variety used in all red Tuscan wines. 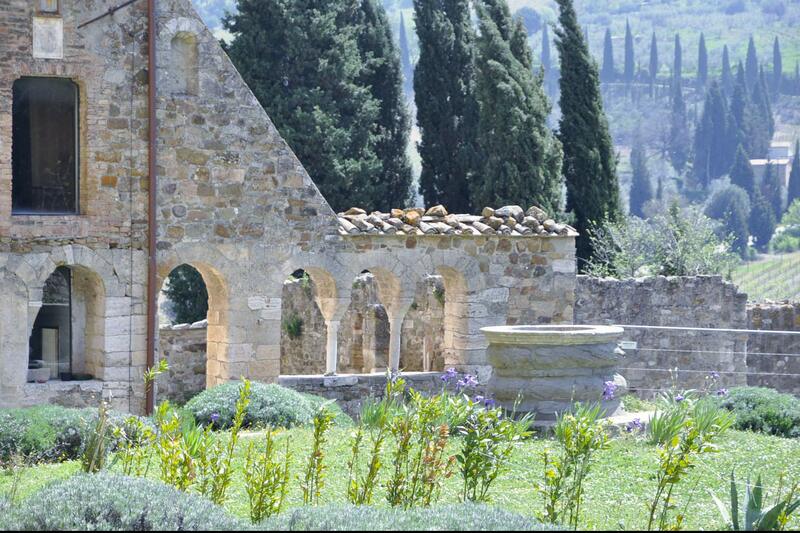 Both our popular Tuscany Small Group Day Tour from Rome and exclusive Private Brunello di Montalcino Tuscany Wine Tour will bring you right to the stunning hill towns in the unforgettable Val d’Orcia (Orcia Valley) region. Highlights for both of these Italy tours include visits to medieval and Renaissance sites before you reach Montalcino, the home of Italy’s celebrated Brunello wine and delectable truffles. The agrarian land and charming buildings in the Val d’Orcia are so uniquely beautiful that the area has been designated as a United Nations Educational Scientific and Cultural Organization (UNESCO) World Heritage site since 2004. You don’t have to walk here long to understand why so many Renaissance painters chose to put brush to canvas to show the farmhouses, abbeys, inns and bridges all surrounded by agriculture. Tasting the Brunello wine that has been perfected here over generations while enjoying good Tuscan food will complete the experience. Wine aficionados know that Verona is more than the setting for Shakespeare’s great romantic tragedy Romeo & Juliet. The wine from this region is recognized for its superior taste and quality all around the globe. For a guided tour that will deepen your appreciation of the thousands of years of inspired work with the grapes grown at wine estates nestled in the gently rolling Valpolicella hills, choose our Private Valpolicella Wine Tour from Venice. This private tour will bring to life the story behind Amarone, Valpolicella Classico, and ancient Recioto dessert wines, from the history of the indigenous grapes used to production methods to wine appreciation. It is awe-inspiring to learn about the wines, mostly reds, made here since the days of the ancient Greeks through the wine boom of the 1960s to present day. Two full wine tastings under the expert guidance of expert sommeliers will be engaging for those new to wine appreciation and wine enthusiasts alike. Add to this time to enjoy local cuisine as you survey the gorgeous view of the wonderful rural villages surrounded by ancient vineyards, olive groves and cherry orchards. Geographically the Valpolicella region is situated between Lake Garda to the west and the Adriatic Sea in the southeast, which provides the area with a mild climate. If you are the kind of traveller who likes to visit the more unique destinations, we recommend experiencing the wine region known mainly to true wine connoisseurs: Friuli. Taking our Private Friuli Wine Tour will draw you into the rich history, incredibly diverse culture and fine wines of Friuli’s Collio wine region. Known for mostly white wines, Friuli is also known to produce a few truly noteworthy reds. Do you have digestive problems? Watch for the Terrano, a wine made from a variety of grape grown in red soil called the Refosco. Italian doctors sometimes recommend enjoying a bit of Terrano, which is low in alcohol, as a remedy for digestive ailments. It is also thought to be helpful for anyone low in iron. As you venture into the Friuli wine region, which is bordered by Slovenia to the east and dotted with age-old villages, stately castles and scenic vistas, you will notice immediately that it is away from the main tourist tracks. It is a lovely, relaxing trip perfect for honeymooners or anyone looking for a tranquil day trip and the opportunity to learn a lot about good Italian wine. 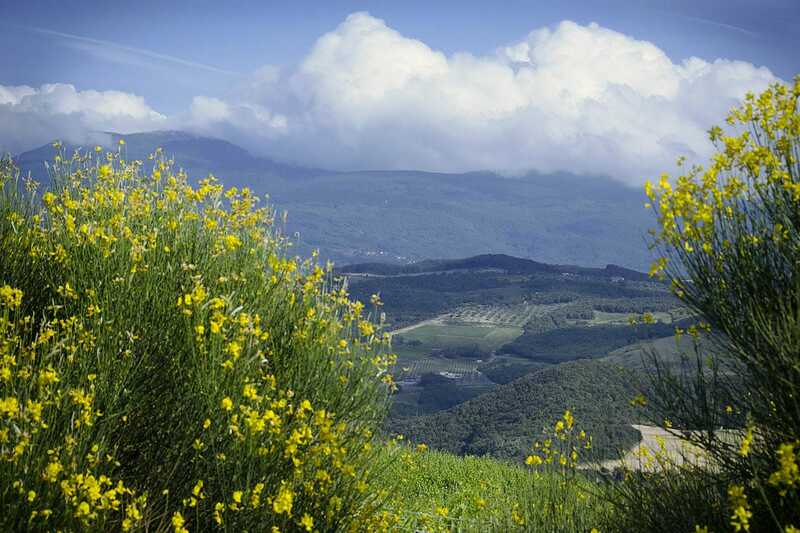 Inspired to explore Italy’s vineyards and taste some of the very best wines in the world? Visit Avventure Bellissime online now to book your next Italian vacation.